3 Things I Would Tell My Younger Self – Stew Rd. From time to time I enjoy sharing articles from guests and friends. 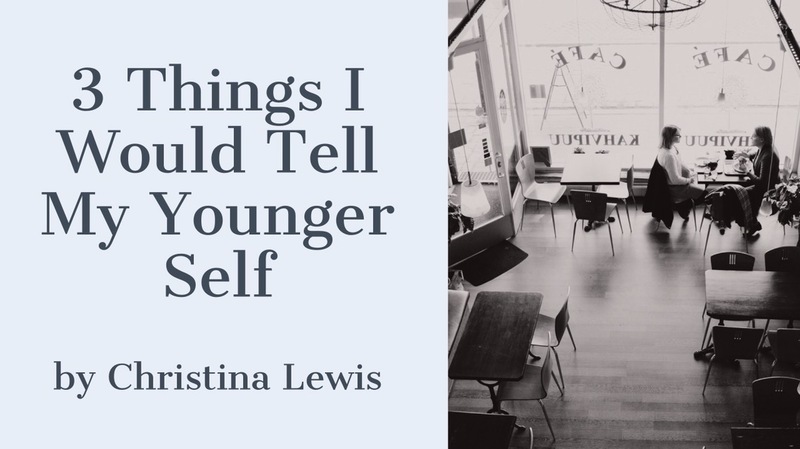 This is an excellent piece by Christina Lewis sharing some thoughts with her younger self after a few years of life experience. What 3 things would I say to my 20 year old self? 1. You are right on track. It’s not just a childish dream that flitted through your head. You heard God’s voice. Don’t let anyone look down on your ideals and goals because you are young and naïve. Yeah, it might be vague and nebulous, but don’t feel like you have to defend and explain and have it all figured out. Hold onto that word and calling and do not allow other’s doubts and uneasiness pull you away from that purpose that you feel deep in your bones. 3. Life is made up of seasons and cycles. There is good in all of them if you will train yourself to find it. These seasons are short compared to your life span. There is a beginning and end to everything. It’s not the end of the world, but the end of a season and the beginning of a new one. As eternal as it may seem, every difficult time in your life will pass and so will every pleasant and easy one. So, learn from the hard times… ” they will equip you for what is next. Enjoy the good times… they are not promised to last. Pingback: Woulda, Coulda, Shoulda: A Thief Named “Regret” – Stew Rd.